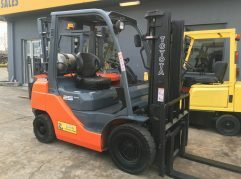 3 wheel electric Toyota forklift in excellent condition. 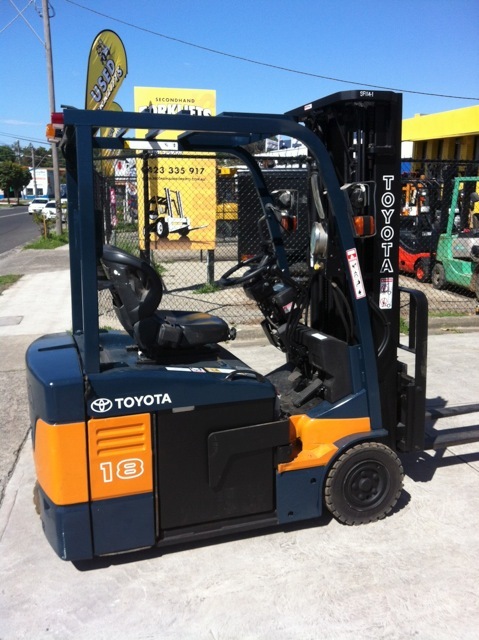 3 Wheel manuverability means it’s great for tight locations and the legendary Toyota reliability means you won’t have to worry about breakdowns or excessive maintenance. 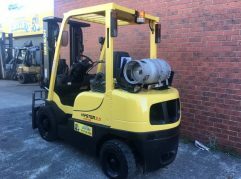 The best three wheel forklift money can buy, with a 12 month warranty and an excellent battery.